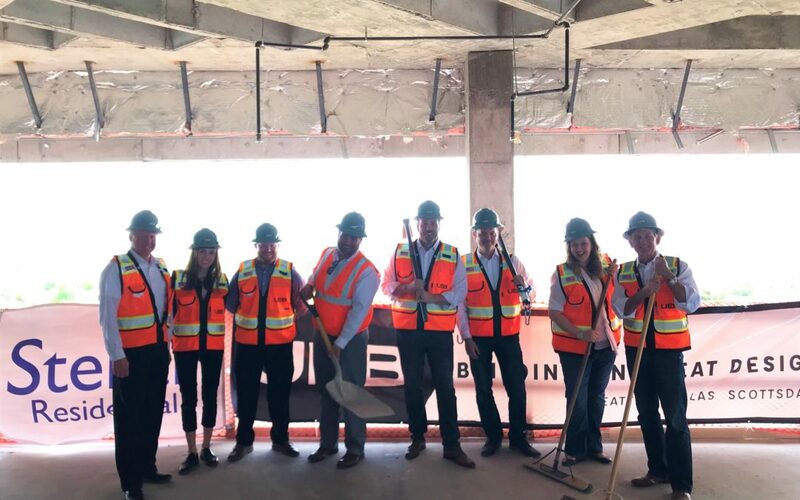 Officials from Stellar Residential and UEB, along with industry guests, gathered at a “glass-raising” ceremony yesterday to honor the commencement of construction for the highly-anticipated renovation of One Camelback and the launch of Stellar Residential. PHOENIX, Ariz. (March 21, 2019) – Stellar Residential hosted more than 50 industry partners and guests at a “glass-raising” ceremony yesterday to honor the commencement of construction for the highly-anticipated renovation and repurposing of One Camelback into an upscale apartment building. 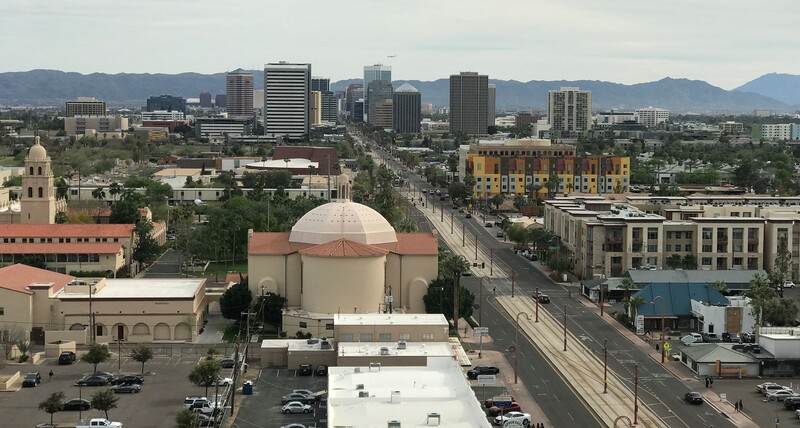 A view of Downtown Phoenix from the upper floors of One Camelback, an office building repurposed into a highrise apartment building. Stellar Residential is a provider of property management services for multifamily owners that encompasses all palates of ownership including institutionally owned, privately-held organizations and sole proprietorships of any assets more than 90 units. The company is focused primarily on Class A and Class B assets, both stabilized and new developments in lease-up, and value-add acquisitions. With keen attention to ethics, innovation, quality and service, Stellar Residential successfully recruits and retains the best and the brightest talent in the business. The combination of process and people have resulted in dramatic company success. In addition, Stellar prides itself in investing in people and technology – both designed to make the life of the residents more satisfying. For more information on Stellar Residential, visit stellarresidential.com.